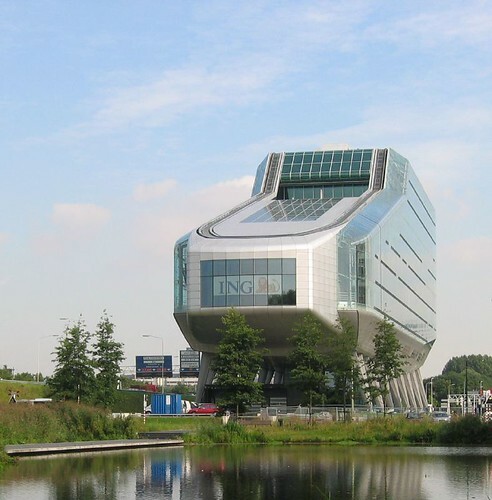 Some times back I had posted about Sharp Centre for Design, Toronto - A Huge Modern Building on Stilts, today I present another huge and a bigger building on stilts - ING House, Amsterdam - the headquarters of Dutch financial Institution ING. 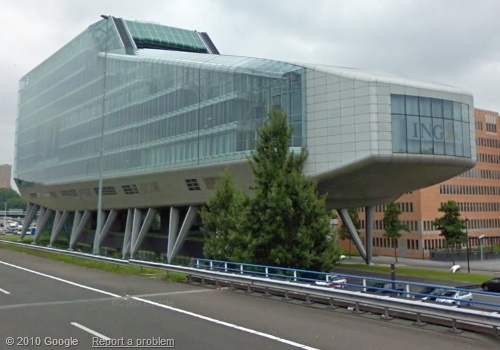 This strange shaped building was designed by Roberto Meyer and Jeroen van Schooten and was officially opened on 16 September 2002 by Prince Willem-Alexander of the Netherlands. 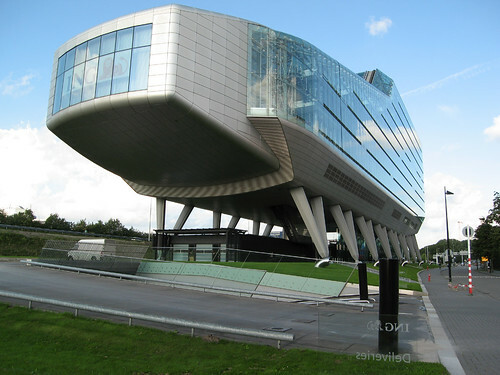 Beside being the head office of ING it has a 250 seat auditorium, a library, a good collection of art and 6 inner gardens. 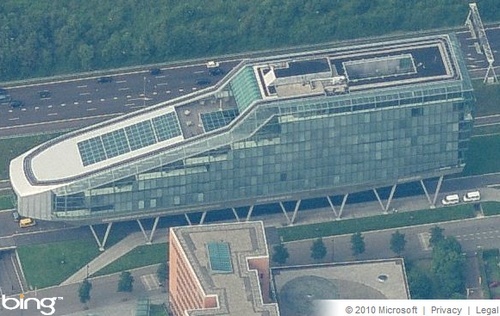 The 10 storey high building has a width of 28 metres, length of 138 metres and height of 48 metres. 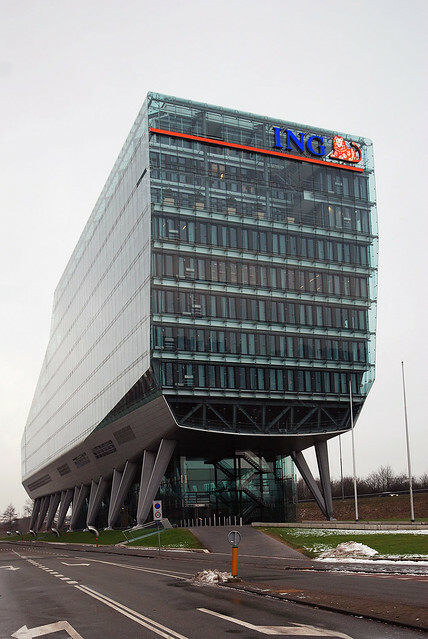 As per ING webpage it is "constructed like a table on 16 steel legs. The legs stand freely on pins in large concrete blocks in the ground, a technique used in bridge building." 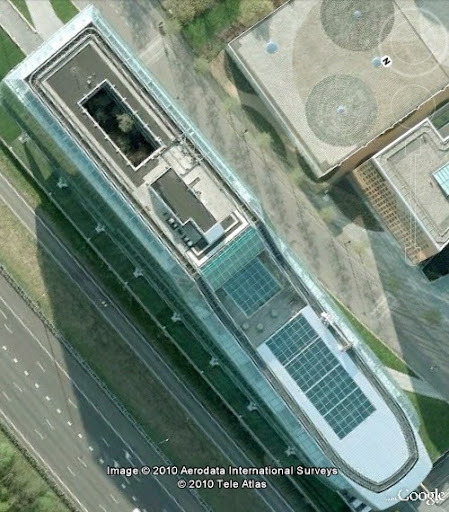 However to be honest, my 9 years old grandson says that it looks like a giant's shoe. Credits: I am thankful to Abu-Suboor for bringing this building to my knowledge.